For our customers that don't live in San Francisco... You can check out a small portion of our inventory on our ebay site HERE. 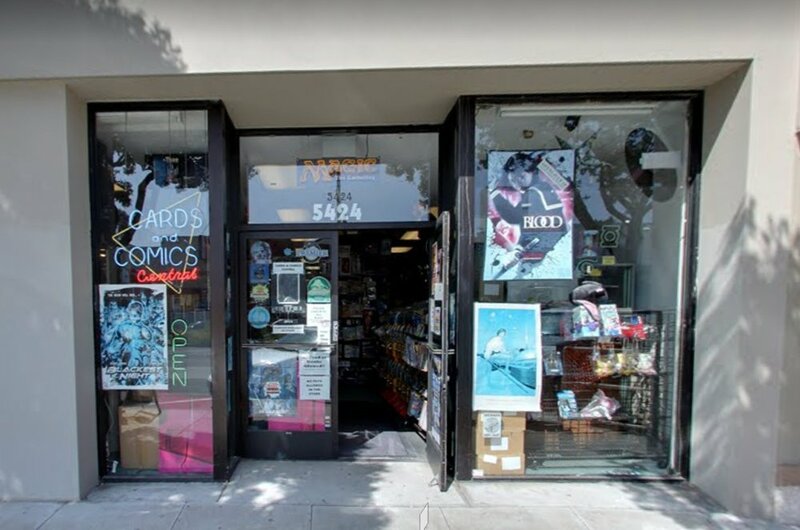 Cards and Comics Central has been in business for 23 years. Original store store location was about 250 sq ft on Geary and 24th next to the old Wirth Bros. Bakery (unfortunately no longer there). We have moved 4 times since to larger locations; 5424 Geary Blvd, being our final destination. I originally started off as a sports card store to as a part time business. As we have grown along with the ups and downs of the market, Cards and Comics Central has expanded into a wide array of products to meet the needs of the local market. The "Big Box Stores" could not survive in the city. With the shutting down of Toys R Us, FAO, and Kaybee Toys....we decided to expand our product lines to meet the request of our customers. A little something for everyone.